Xbox One: Not Selling as Well as it Should? If you’ve been following the articles I do here for a while now, you would know that I’ve had huge expectations of Microsoft with the Xbox One. I even wrote an article stating that the Xbox One will absolutely dominate the sales chart when it releases due to it’s multi-media centric nature and how it would be marketed to the masses. 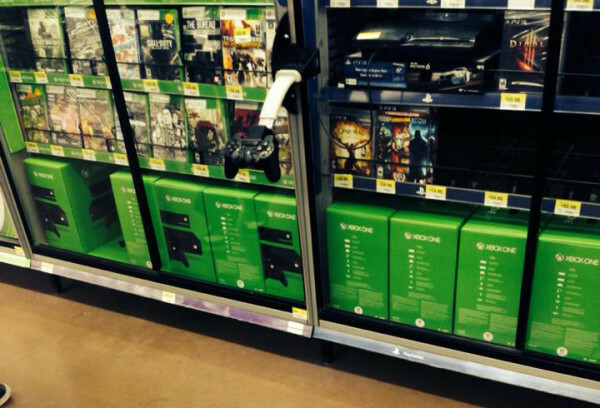 With the PS4 and Xbox now released, the next generation is officially underway. Both systems were met with great reception, with both of them selling over 1 million units within their first week. One of these systems though, appears to be slowly losing steam while the other manages to retain a good amount of momentum. One of these systems is being blatantly out-performed, and can be found abundantly on store shelves around the country. 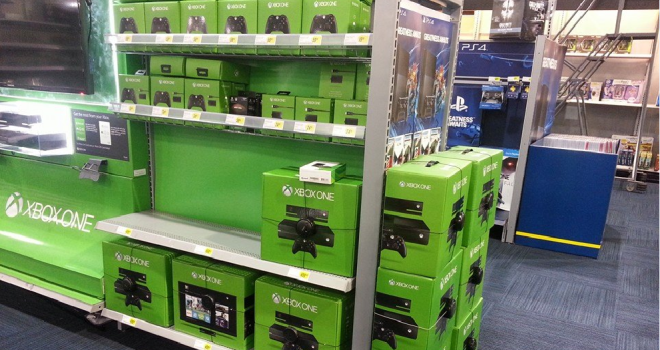 Apparently, I was dead wrong about the Xbox One. While the system isn’t selling terribly by any means, it’s still clearly being out-performed by the PS4, lagging behind it’s rival by a full 1 million unit deficit. Even the Wii U has reportedly managed to outsell the system last week, according to VGChartz. Despite even having a Fifa bundle in Europe, the PS4 still managed to top it’s EU sales. But the main point I want to make in this article though (for those who may not know yet), is that the Xbox One is abundant on store shelves, and some retailers are actually struggling to sell the system. What exactly is the reason behind all of this, though? Is it simply because of the $500 price tag? Or is it because of all of the negative stigma surrounding the system? The two probable reasons listed are definitely contributing factors, but the Xbox One’s misfortune is most likely is caused by the direct competition with the PS4. For example, the $500 price tag is pretty hefty, but it’s especially bad when you have a $100 cheaper alternative sitting right next to it, and then another system that you can buy for just $250-$300. It’s gotten so bad that GameStop has to to use special presentation tactics in order to move some stock off of store shelves. Many Xbox fans would argue that Microsoft is simply keeping the system well-stocked, which would’ve been a legitimate argument to make if it doesn’t have such a huge deficit compared to the PS4. And if it was just a matter of having enough units, then tactics such as the one you see to the right would simply not exist. 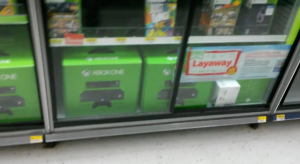 Even the Wii U managed to sell out during it’s launch, and the system even sold out this holiday season as well. There’s been reports all around the country (and online) of gamers walking into Best Buy, Walmart, Target, GameStop, etc, and seeing plenty of Xbox One’s an no Playstation 4’s or Wii U’s. Don’t misunderstand this article as a typical doom-and-gloom piece – the Xbox One will be just fine and be a successful product, in my opinion. Compared to my expectations, which were much better but not crazy by any means, they system is simply underwhelming with its sales performance. Microsoft should have definitely considered doing a $400 Kinect-less bundle to combat its main rival, the PS4, but they didn’t and now it seems that their stubborn decision is starting to bite them in the you-know-what. Is the Xbox One performing better or worse than you expected? Let us know what you think down below. I knew this was going to happen, people get these systems for GAMES, not media features. People have these stuff already in their cable boxes and internet TVs. It’s performing exactly as I expected, honestly. The PS3 already tried the multimedia “it only does everything” approach and it was a notorious failure. It wasn’t until it found focus by pushing games that it started picking up steam. The high price tag certainly isn’t helping either. Actually… it’s pretty uncanny how much Microsoft and Sony have flip-flopped since the last generation. In the beginning, Sony was the suicidally overconfident and phenomenally stupid one, which allowed Microsoft to swoop in and take darn near everything from them. Today the roles are reversed. Uh, no they aren’t. 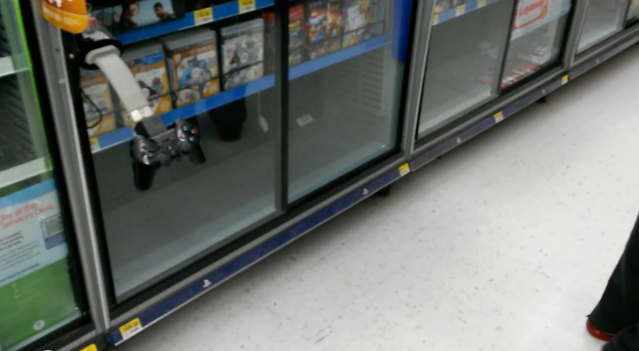 PS4 has been advertising itself as a game machine and almost nothing else but. Didn’t you see its E3 presentation at least? Is Jahmai the same guy as Shokio? I don’t think it is to do with anything other than price. Most families are struggling financially so when their kids want a new console the price is the deciding factor, especially when the PS4 and Xbox do the same thing in terms of mainstream games like Fifa and COD. I have a 360 but have also owned a PS3. I will wait until the price comes down on the Xbox One before I upgrade. For me there is nothing in either of the new consoles that makes me want to upgrade just yet. My 360 is still a fantastic console so only when the price is right and the games are worth it will I feel like upgrading. I don’t think it’s the price, you have tons of people out there who are willing to just throw away $600-$700 for a new phone every year that does exactly the same as their last one. I believe what the article says, it’s in direct competition with the PS4 which is the big thing right now. 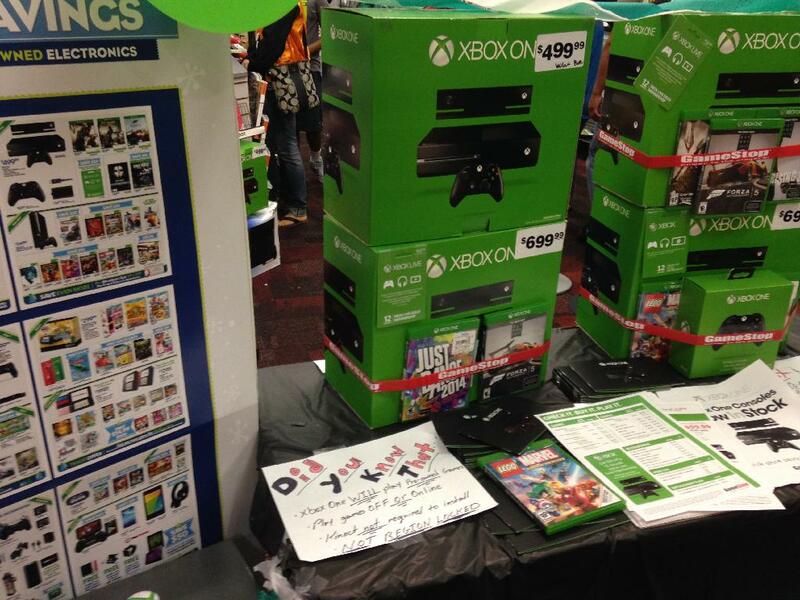 I know people who only got the XboxOne because it was “The new Xbox”. I kinda hope this is the last generation with Microsoft and the Xbox. Kinect 2.0 would still be worth the inclusion even if it hampered launch sales cause of inflated price. In the long run, XB1 has a solid feature that will produce wonderous software which will be very hard to compete with on PS4 (considering they don’t have a guaranteed cam in their system). The xbox one is still a great system, its only been out a little over a month and it already has over 2 million units sold. Its too early to say who will sell more in the long run. Im pretty sure if microsoft has a price drop, the xbox one will sell like hot cakes. Once the ps4 hype goes down, sony doesnt have anything else to offer because its only for gaming. Kinect is the future and im pretty sure microsoft will make it a lot better. Kinect failed last time, no one bought it and the people who did buy it played 1-2 games and left it as that. Kinect 2.0 isn’t gaining any fans nor is anyone buying the xbox one because of it. Lets face it, Kinect is dead. The reason why that the stores are not selling the Xbox Ones real well, is because some people rather just wait for the second batch of the Xbox One Gamesystems first. Because when the Xbox One batch comes into the stores, the Gamesystems can have issues where it doesn’t work or maybe missing a cord or a game controller that’s why.